Toast walnuts in 170°C oven for 8 minutes or until golden brown. Cool to room temperature. Combine toasted walnuts with oil and garlic and puree in food processor or blender until smooth. Add chickpeas, orange zest, orange juice, salt and pepper and continue to blend to an even, smooth consistency. Adjust seasoning if necessary. 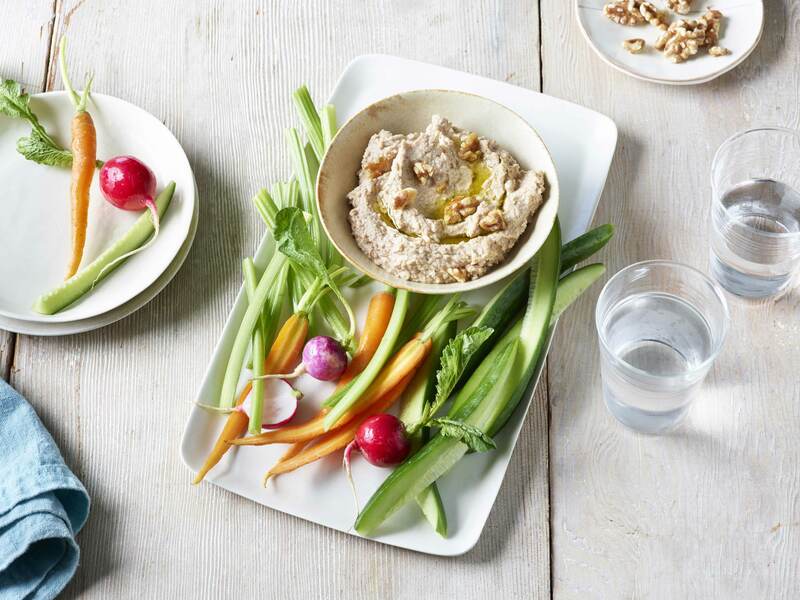 Serve hummus in small serving bowl alongside toasted pita bread or with a variety of colourful raw vegetables.